flower size and quality decline with each flowering. B. perennis 'GataxY Red' Semi-double flowers with a yellow eye. plants by dividing every two years, after flowering. dark foliage. Bears profuse, double, deep red flowers. 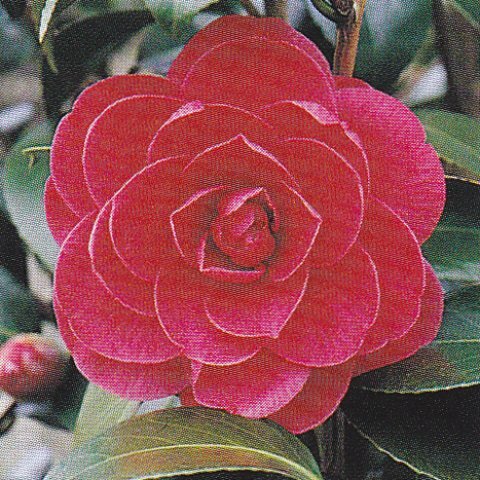 C.japonic 'Miss Charleston' Neat, upright shrub with large, deep red semi-double flowers with golden stamens. shape after flowering. Scale insect may be troublesome. clusters of sweetly scented, four-petalled flowers. E. cheiri 'Scarlet Bedder' Slightly shorter variety. 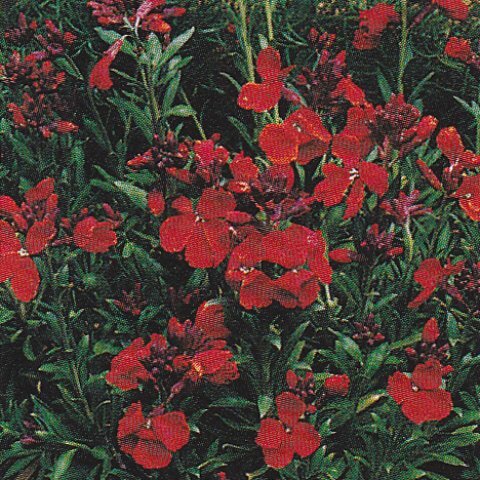 Cultivation: Plant bedding wallflowers in early autumn in a free-draining, neutral or slightly alkaline compost and site in a sheltered sunny position. Water moderately. Feeding is unnecessary. 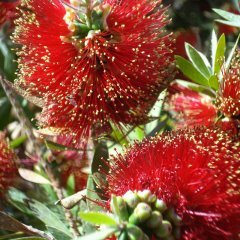 Pinch out the growing tips to encourage bushiness, and trim after flowering to encourage further blooms. 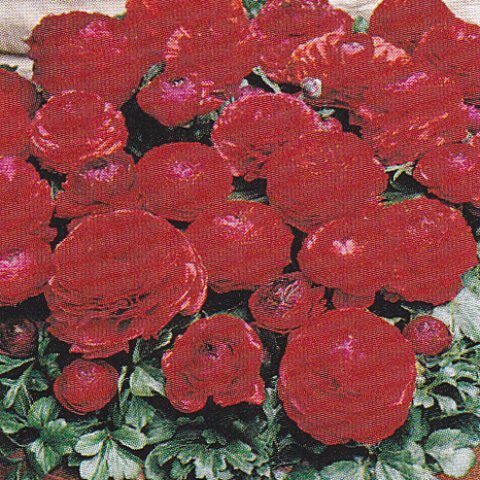 peony-like flowers in a range of red shades. 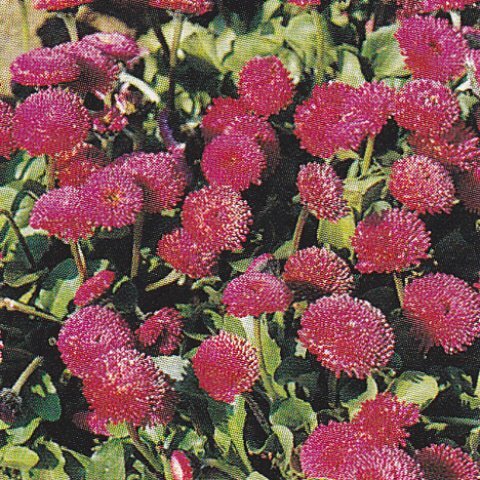 R. asiaticus 'Bloomingdale Red Shades' Very large showy flowers in a range from coppery to blood red. moist, potting mix. Site the planters in a sunny position. These cultivars will tolerate moderate frost, but should be moved to a sheltered position if a cold spell is severe or prolonged. Water moderately. Feeding is unnecessary. Deadhead any spent flowers to encourage further flowering.